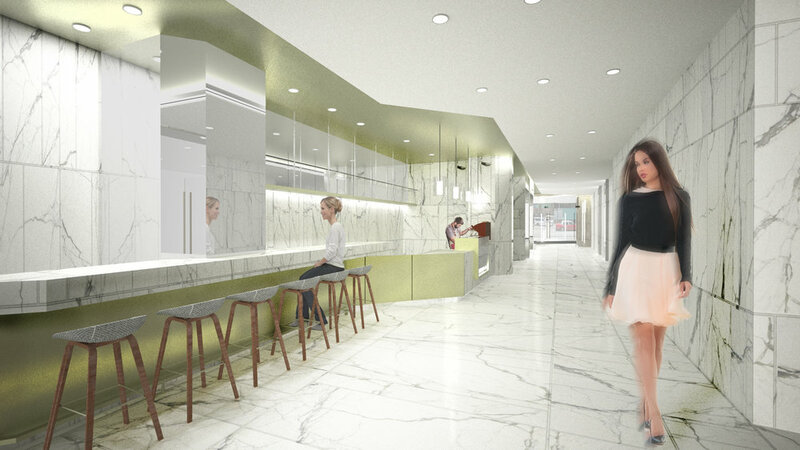 Client: Angelo, Gordon & Co.
Spawton Architecture was commissioned to refresh the image of a commercial building, to modernise the public areas of the building and enhance the rent generating potential of the offices. The project included the ground floor lobby and carpark, the podium facades and entrances as we as a typical lift lobby and facilities of the upper floors. 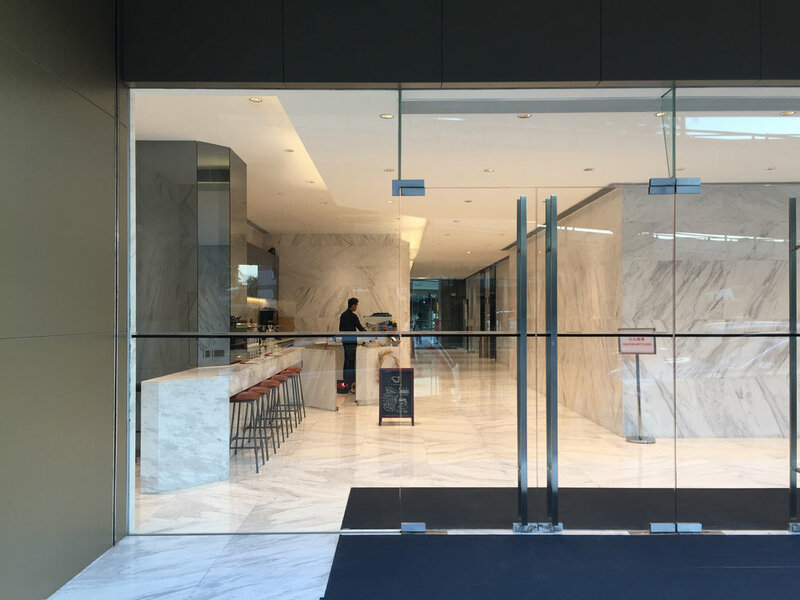 The brief called for a new coffee shop to be incorporated into the ground floor lobby to realise additional rent for the owners and create a more welcoming, lively circulation space for the building’s users. 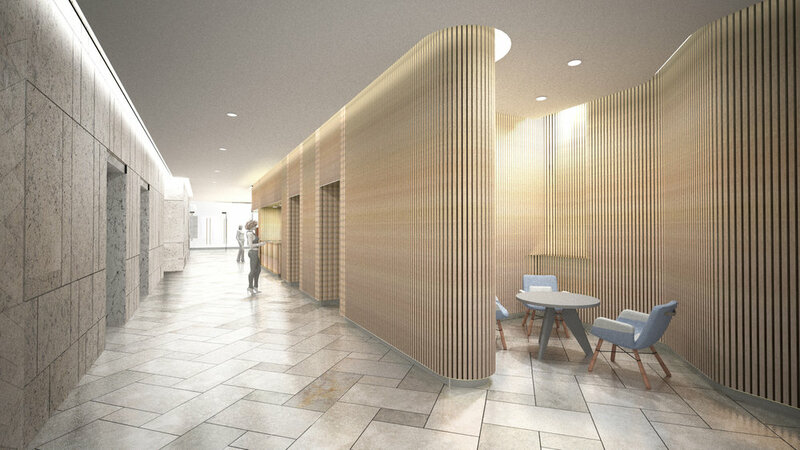 A vertical, curving, slatted timber wall defines the design, a series of ribbons weave their way through the space to form the cafe, security desk and seating areas.